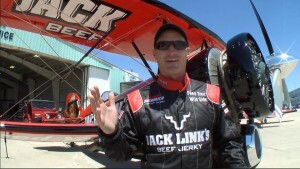 I’m here at the Rockford AirFest shooting the last round of performer interviews for the film. 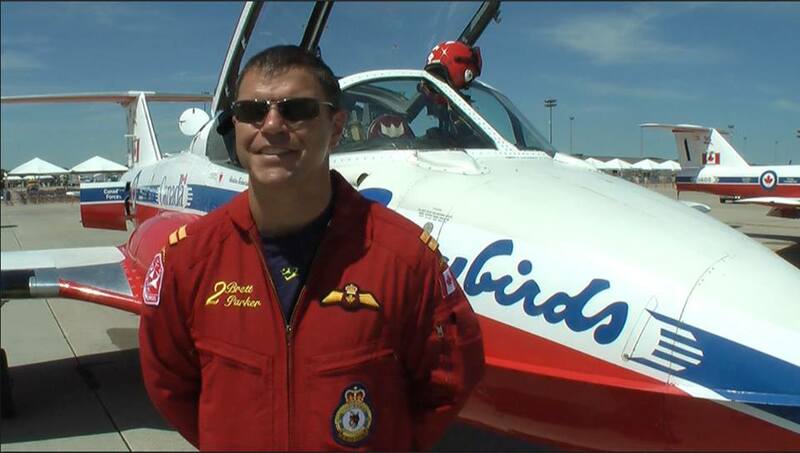 We got Canadian Forces Snowbird 2 (Inner Right Wing) Captain Brett Parker from Edmonton, Alberta. Great interview. And he allowed as how he knew of The Ballad of Thunderbird 2 (although Snowbird 2 is lookin’ left, not right). 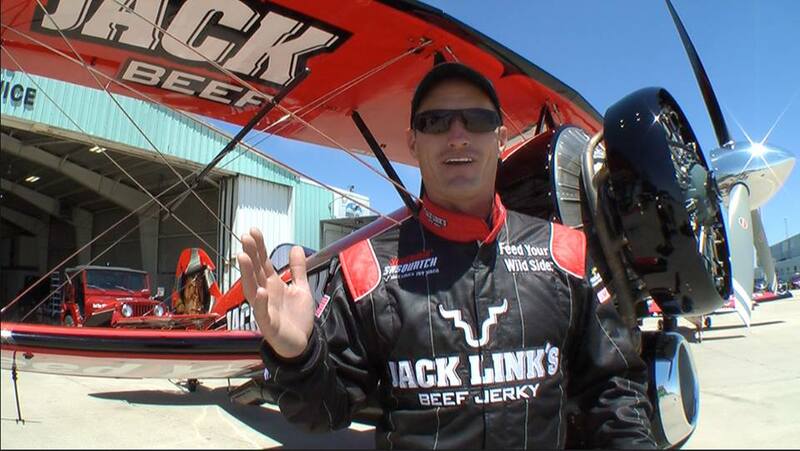 We also got a great interview with US Unlimited Aerobatics Champion and Screamin’ Sasquatch Jet Waco pilot Jeff Boerboon. The Waco was pretty cool in an exhibit hall at ICAS, but that’s nothing compared to how it looks out in the sun on the ramp. And it wouldn’t be a complete set of performer cameos without a USAF Thunderbird. 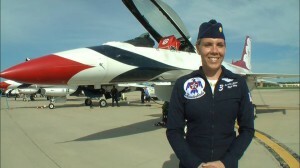 Maj Caroline Jensen flies 3 for the USAFADS. She has 200 hours of combat experience in the F-16 and was a T-38 IP before joining the team. I think that Maj Jensen was our favorite interview. She wasn’t afraid to go technical about control inputs, formation technique, and inside-baseball discussion of what it takes to fly the Viper. The only issue might be resisting the urge to put too much of this interview into the film.